I have never been able to swim or surf very well, and so this is tribute to that and much more. 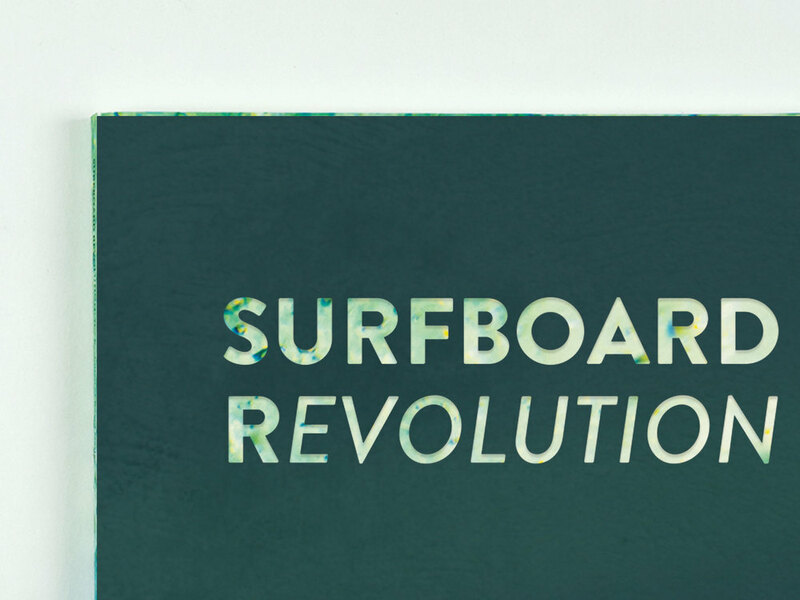 This catalog tracks the evolution of surfboard design and explains the differences between board shapes for any level of surfer. 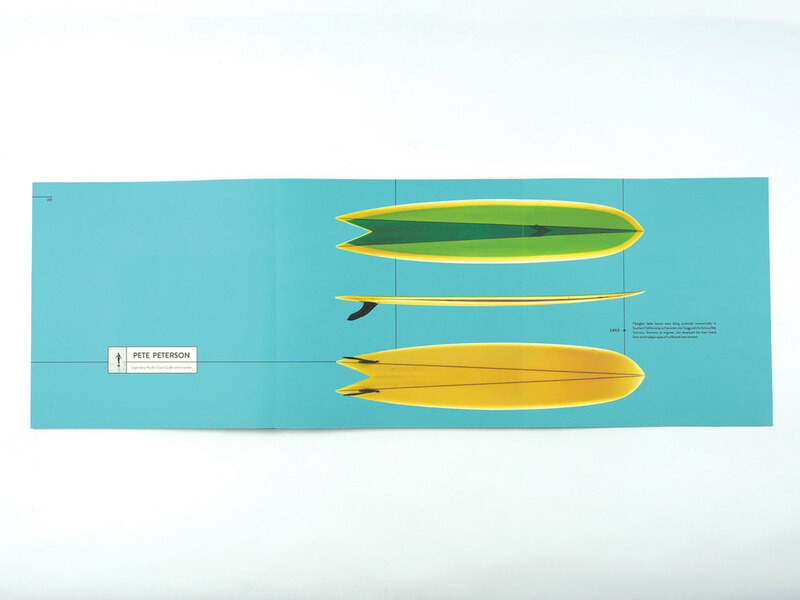 I separated the catalog in three parts, each with their own subtle color system. 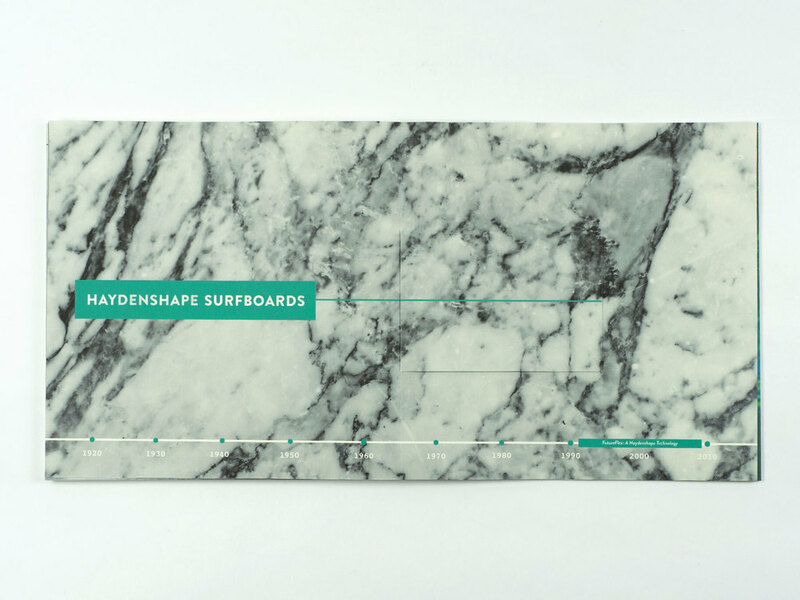 These sections are wooden boards, fiberglass boards, and Haydenshape boards, which are boards designed by surfer and board designer Hayden Cox. 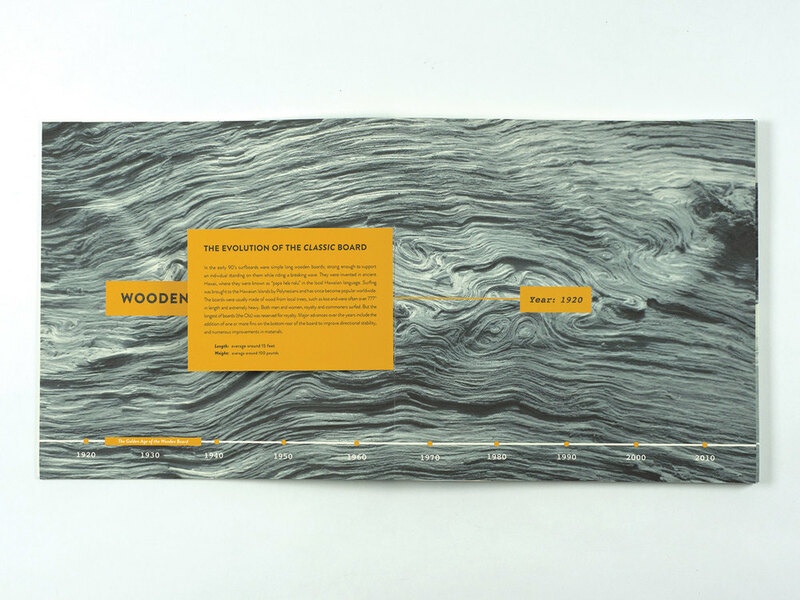 The catalog uses black and white photography throughout, and the color comes from the bright boards. 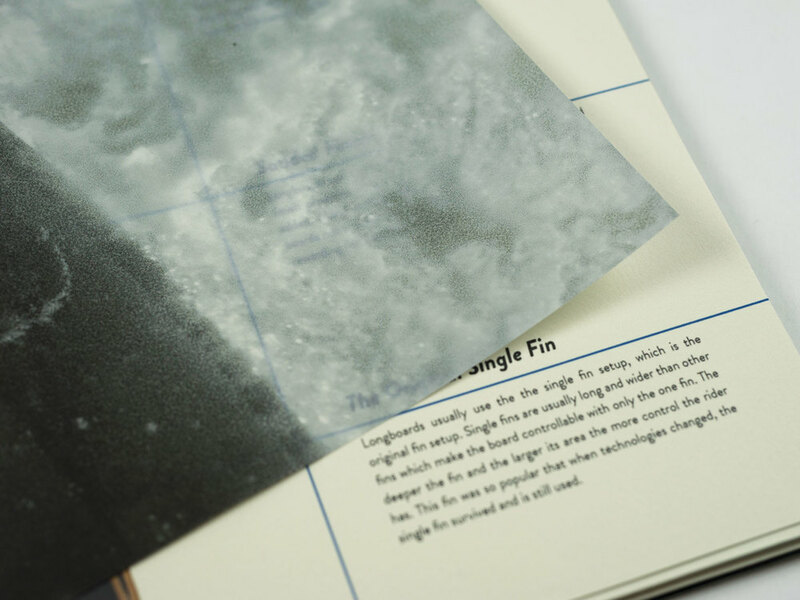 To push the fact that this catalog tracks materials, I included different techniques and materials, such as screen printed acrylic and vellum.